I randomly contacted Vanessa after reading an article about her that had been posted on Facebook, I believe, during the Sea Otter Classic. I remembered that I had seen a video of her not long ago that you can find here. 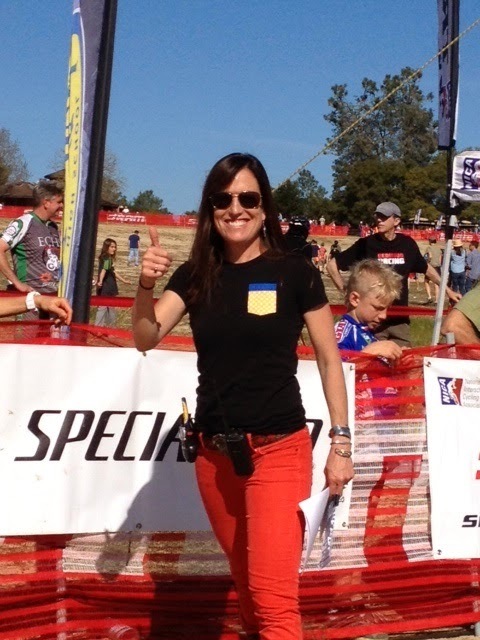 Here was a woman who had recently landed her dream job as Executive Director of the NorCal High School Cycling League, and she found out she had stage 4 colon cancer. To read about how the power of riding a bicycle can influence and support someone through such a traumatic time in their life is truly inspiring and humbling. This is a woman who was not going to let anything stop her! Hearing Vanessa talk about how mountain biking is a mental and emotional experience is something I can attest to every time I'm out there. Some days are truly breathtaking and amazing, other days I find myself wondering why I'm out there on the trails when I'm not "The Greatest"
The love of the ride and the experience are what keep me going out there and doing my best. Bad riding days or not. I think Vanessa is a great role model for so many people, not only for overcoming her battle with cancer, but encouraging the new generation of mountain bikers to get out there and ride! Thank you, Vanessa, for allowing me to interview you for my blog-keep continuing to inspire! I've been riding bikes since I was a kid. My father was really into cycling so we did lots of road touring in California and in Britain. 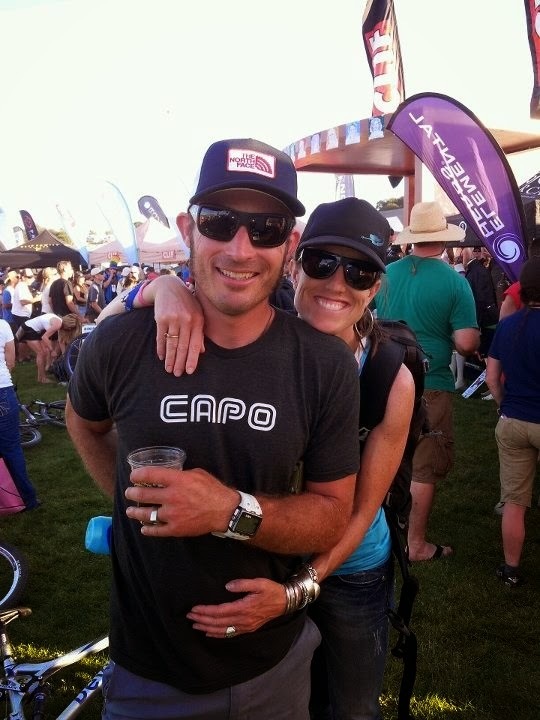 I got into mountain biking when I moved to Durango, Colorado in 1994 for college. Riding fast through the trees on swoopy singletrack is one of the most exhilarating feelings ever: this is what motivates me. Yes, I've done tons of mountain bike racing. I'm not a particularly competitive person, so for me racing is about seeing how hard I can push myself. It's also a social thing. My husband and I like to travel to races, and enjoy all the fun, adventure and time with our friends that comes with doing that. 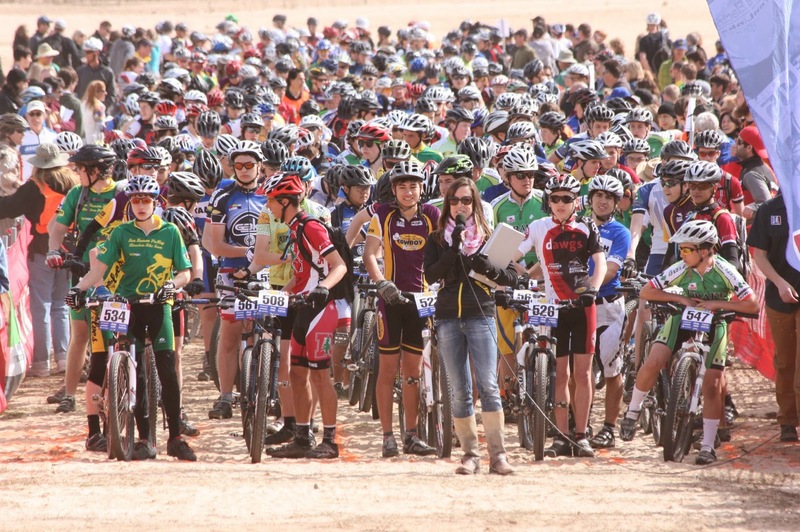 My favorite competitive event is the Bike Monkey-8 Hours of Boggs event. It's an awesome weekend of camping, riding and racing. My husband and I have done it as a duo for the past few years, and we always have a blast. What kind of riding is your favorite? (paved, gravel, mountain, etc.). Do you remember how you felt on your first mountain bike ride? (If not a mountain biker, how about first commuter ride, paved trail ride, gravel, etc.). Get back on the bike the next day and the next, and the next. I knew it would just take practice and experience to get over nerves. Do you use clipless pedals? If yes, what are some tips/suggestions for beginners that you would share? If no, are you thinking of trying it out at all? Yes, I use clipless pedals. My advice for folks who are nervous about using them is just to set your cleats and pedals loose and practice getting in and out on a soccer field. Remind yourself that clipless pedals are way more efficient and that you'll get way more out of your pedal stroke than just riding flats. I commute to work every day on my bike; it's a great way to start and end your work day. I ride in heels and dresses all the time...you don't have to have "commuter gear" to get to and from work. The only challenge I've faced is sometimes I have a ton of stuff to take to and from work and I can't fit it in a backpack. To solve this issue, I got a bike trailer and it works pretty well. I commute all the time, but my commute is less than 5 miles. I put a good set of fenders on the front and back of my bike [which is essential], throw on a jacket, and bring a dry set of clothes in my backpack. It's fun to ride in the rain! Of course! Every mountain biker has bike biffs. I have them fairly often, actually. You just have to realize that this is part of the adventure of being a mountain biker. How many other women do you know who can rip their bikes through the mountains? How many other people in the world are having lots of adventure in their lives? Not too many, I bet. The feeling of empowerment that I get from it. I have 2 handmade steel Soulcraft bikes that I have had for over ten years. The Soulcraft road bike was a hand-me-down from my husband, and the mountain bike was a gift from the teenagers who were on the high school mountain bike team that I started. They gave it to me when I was going through cancer treatment and it was something I could look forward to riding once I was done with chemotherapy. I also have a full suspension, Juliana, Joplin, mountain bike; it's my favorite bike. It fits me perfectly, rides like none other and performs really well in all types of terrain. Oh, I also have a commuter bike, a couple of cruisers, and a tandem. I love the "My Alibi" bloomers. They are boy shorts that have a chamois in them and you can wear them for commuting, or under your baggies for mountain biking. I love my Kitsbow mountain bike shorts...they fit beautifully and are super tough. The Giro New Road line is also one of my favorites. I have one of the wool jerseys and it is super cute, performs well in any type of weather and is made well. Giro helmets, gloves and shoes are my go to...I never wear any other brand. Lastly, I love my Kaenon sunglasses. How did you become an ambassador for Juliana Bicycles? Juli Furtado met my husband and they had a great conversation about the work that I am doing to expand high school cycling in California. She called me and we met up and talked about the future of youth cycling, and what I was doing to make the NorCal High School Cycling League a success. After getting to know one another, she asked me to be an ambassador for Juliana because she wanted the brand to be represented by women who both ride, and do good things for their communities. What is the main message you'd like to share to others about yourself? As the Executive Director of the NorCal League I would like people to know how rewarding and fun it is to coach teenagers on their mountain bikes; I'd like them to know that not only does it change kids' lives, it can bring some real fun and satisfaction to one's life. As a cancer survivor, I'd like people to remember the importance of not taking anything for granted. I'd like people to think outside of themselves about what they can do for others. What keeps you going and inspires you? SO many things!!! I'm inspired by something new everyday so this is a question that I have lots of answers to. Here's a short list of the things that are currently inspiring me: gardening in the late evening sunshine, getting ready to take 40 teenagers to summer mountain bike camp, being the creative director for Rivertown Revival, yard sales, riding summer singletrack with friends, my new green smoothie recipe, my nieces and nephews, my girlfriends' determination, my husband's endless love, red and turquoise acrylic paint, new ideas for work, paddleboarding in the river, moving meditation, sun tea, and much much more.